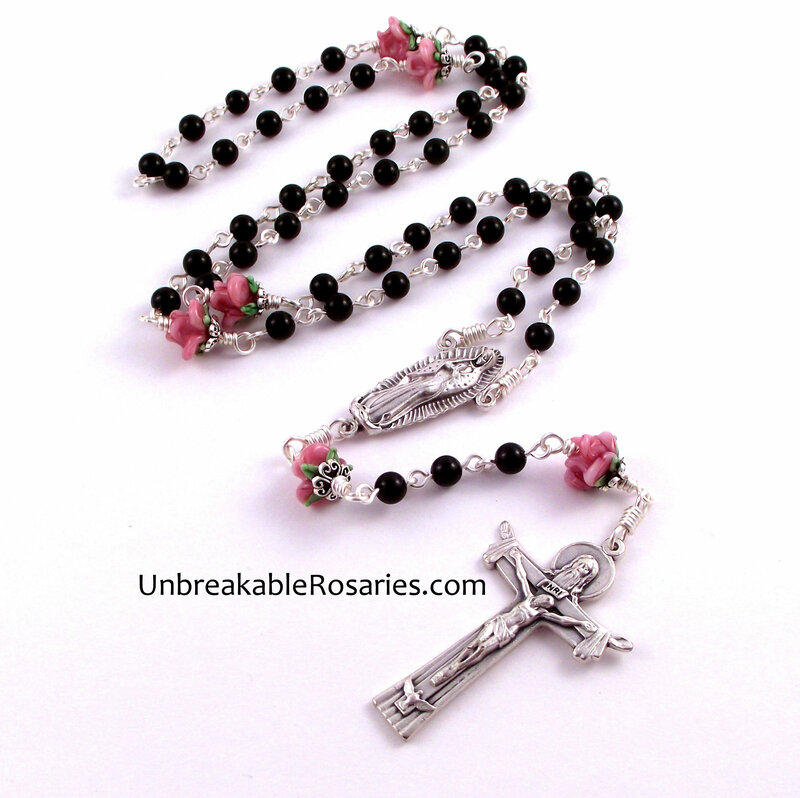 This is a traditional five-decade (Dominican) rosary. It will last a lifetime. All of my rosaries - should the construction break during normal prayer - may be returned at any time for free repairs. Beads: 6mm Black onyx paired with 10mm pink lampwork glass roses. Please note that although the glass roses can withstand normal prayer, if they're handled roughly the petals will break. Crucifix: Holy Trinity Italian crucifix. Solid, sturdy and well detailed. Measures 2-1/4" high. Center: A beautiful Italian medal of the Virgin of Guadalupe. Measures 1-3/8" long. Construction: Chain link with wire-wrapped Pater beads and connection points. Silver-plate wire.